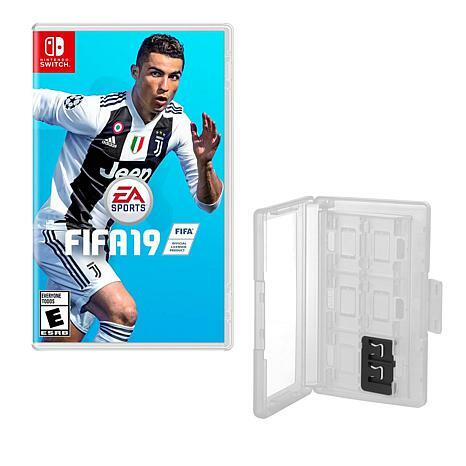 Play the Beautiful Game in FIFA 19 for Nintendo Switch. The improved speedy Frostbite engine, championship league component and new active-touch system make it a realistic experience. Real player motion technology creates authentic animations, and enhanced teammate intelligence improves player immersion on the pitch in FIFA 19 for Nintendo Switch. Game Caddy carries up to 12 game safely... Take the party with you!